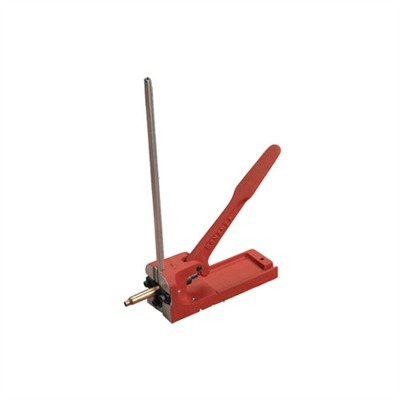 Bench mounted priming tools have been popular with reloaders for years because they are faster and do a better job of primer seating than many of the press mounted primer seaters. The CO-AX Primer Seater from Forster has automatic shellholder jaws which close securely on most modern rifle and pistol cases(no additional shellholders needed). Primers stack sideways in the primer feed tubes for added safety, and the tubes are open in front so it is easy to view the remaining primer supply. The tool base is a quality machined casting and includes a built-in primer flip tray. Large and small rifle and pistol primer tubes are included.